Are you interested in studying Art? 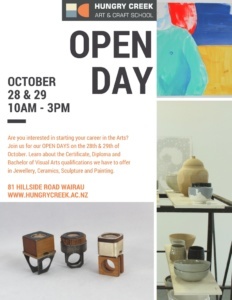 Join us for our OPEN DAYS this October! and find out about what Hungry Creek can offer you! at the only Art School on Auckland’s North Shore.